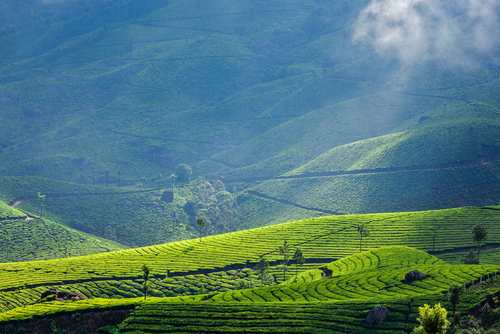 This classic itinerary takes you on a journey through Kerala’s varied landscape and colourful culture. 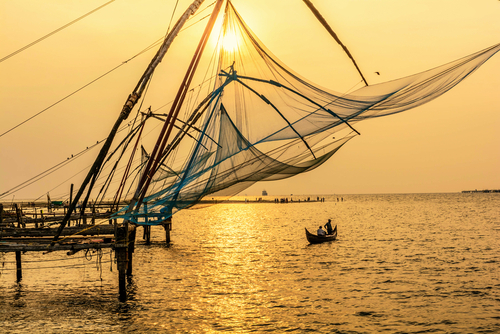 Explore the the bustling port town of Fort Cochin with its pretty lanes and vibrant markets, walk through working tea plantations and thick rainforest of the Western Ghats, drift along the serene palm fringed backwaters on a traditional rice barge and relax on the golden sands of Mararikulam. 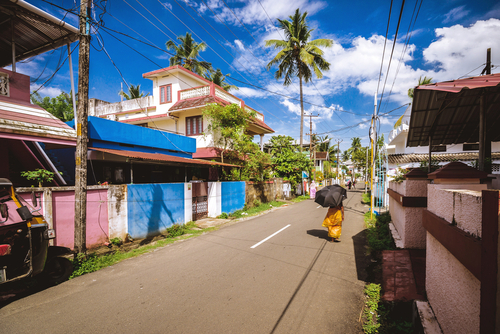 Gain an insight to local culture and family life in this tropical region of India and experience the incredible cuisine as you go, which is so different to other regions in India. 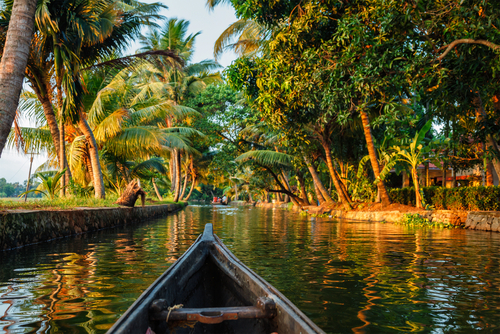 Start your fantastic journey to India today with your international overnight flight to Cochin, situated on the south-west coast of India. Arriving at Cochin airport you will be met by your driver who will transfer you to historic Fort Cochin. You may like to just relax at your property this afternoon or perhaps stroll along the waterfront watching local activities take place and the fishermen at work. In Fort Cochin, large Chinese fishing nets are still used and they dot the coastline here. Explore the historic sights of Fort Cochin with your guide this morning where each corner holds an example of a bygone era that still stands proud. As you travel through the colonial streets by local tuk tuk, you will pass sights such as the oldest church in India, St Francis, the Dutch Palace and the Santa Cruz Basilica. 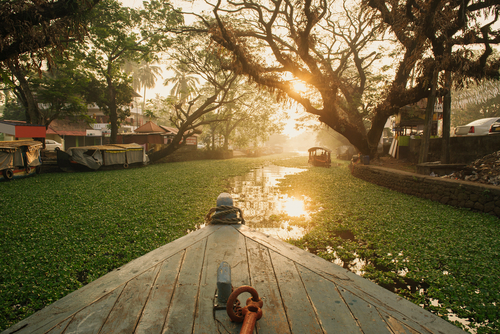 You will be driven from Fort Cochin with your driver this morning and head into the luscious countryside of Kerala. 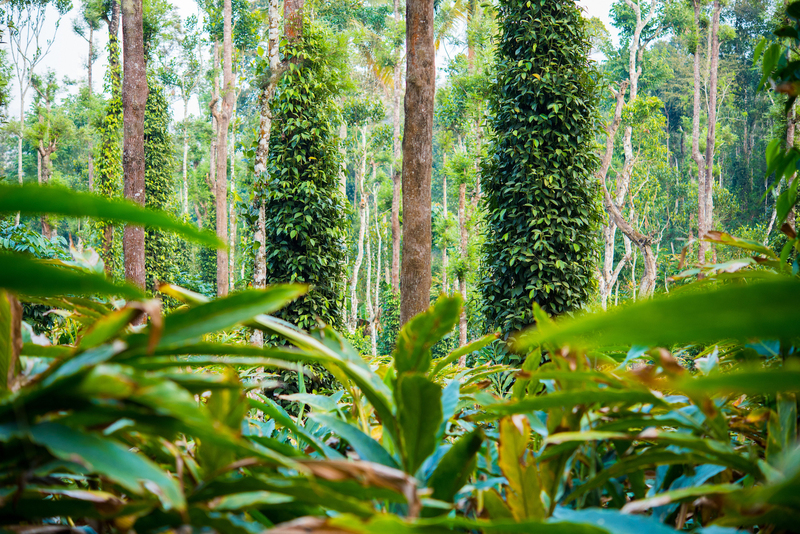 Arriving at Dewalokam, around 3 hours from Cochin, your hosts will give you a truly warm welcome. 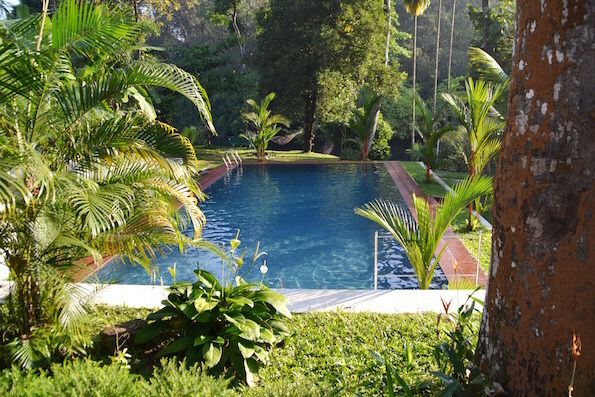 A homestay experience is so fantastic in Kerala and Dewalokam really is perfect for this. The house is surrounded by a flowing river, which you can cool off in, and gardens which grow the fruit and vegetables used in your food. A peaceful paradise for the next two nights! 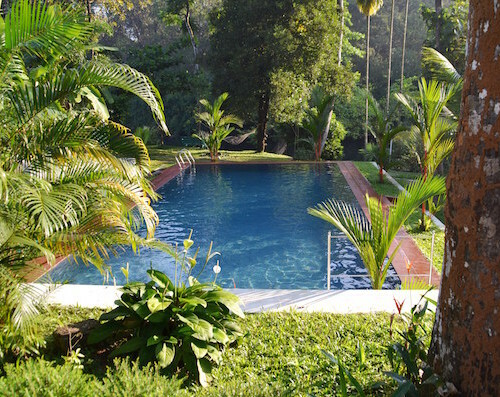 Today has been left at your leisure as there are many activities to choose from at Dewalokam. You may like to start the day with a complimentary yoga session, then cycle to the nearby village before your host takes you around the garden and spice plantation learning about the organic farm. 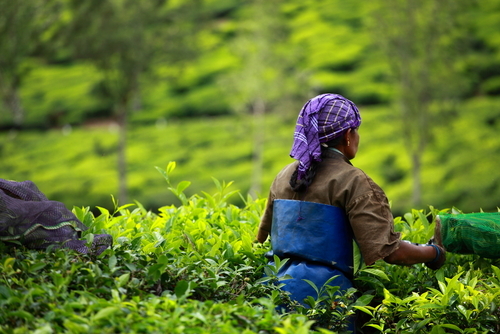 Experience a working tea plantation today, exploring the tea fields and watching the skilled tea leaf pluckers at work. You will also have the opportunity to visit a tea factory and learn the fascinating process tea goes through from plucking to auction and eventually your tea cup at home! 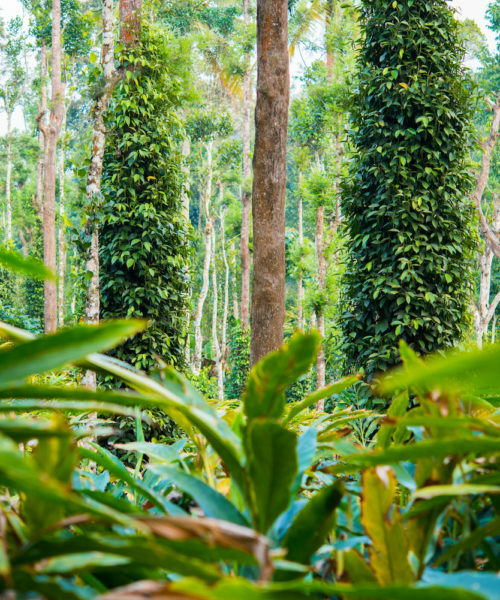 After a leisurely morning where you might like to enjoy another activity in Munnar your driver will pick you up for your journey to the Periyar National Park. This drive is particularly beautiful and your driver will be happy for you to make stops to take some stunning photographs. When you have arrived you will have the evening to relax at your leisure. An early start today as you head out with a local ranger on a jungle walk of the Periyar Wildlife Sanctuary. 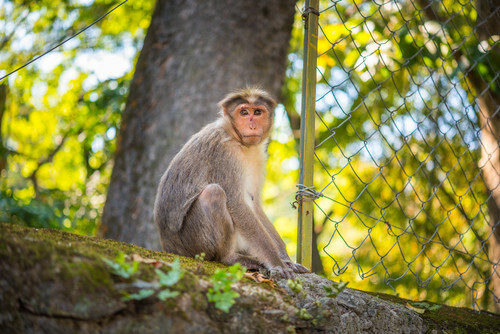 Keep your eye out for sambar deer, giant squirrels, monkeys and wild boar amongst impressive bird life. Your walk should last for around three hours so make sure you have suitable footwear. 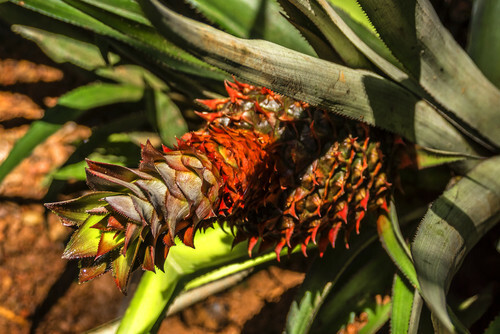 This afternoon enjoy a guided was around a spice plantation learning about exotic spices, such as cardamom, cinnamon and vanilla, and their use in traditional Indian cooking and remedies. 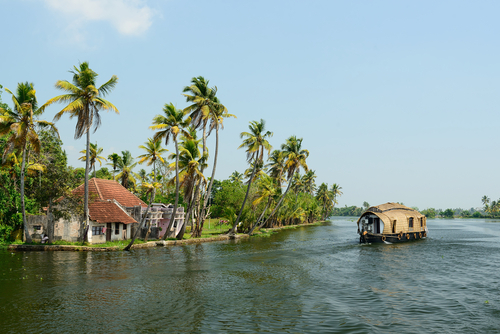 This morning you will be transferred to Kerala’s famous backwaters in time to board your traditional rice barge. 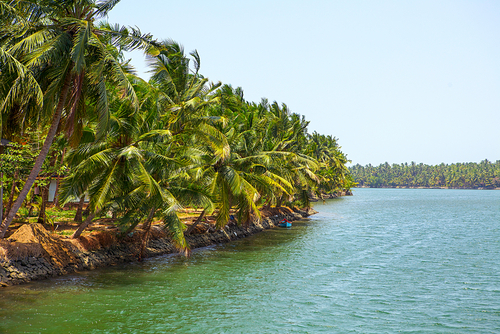 Spend the afternoon drifting along the serene waterways watching local life on the water’s edge pass you by. Moor up this evening and spend the night on board, enjoying a magical dinner under the stars. 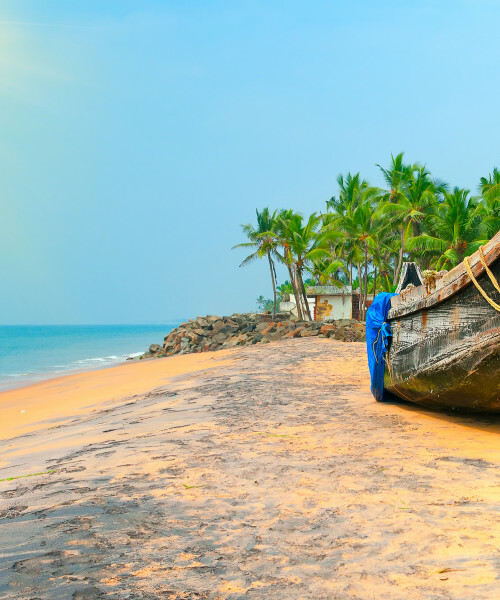 After a leisurely breakfast on board your driver will take you to the stunning Marari beach, your final destination in Kerala and on your Indian holiday. Beautiful and relaxing you will feel fully rested by the time you return home. Perhaps enjoy an Ayurvedic massage tonight. 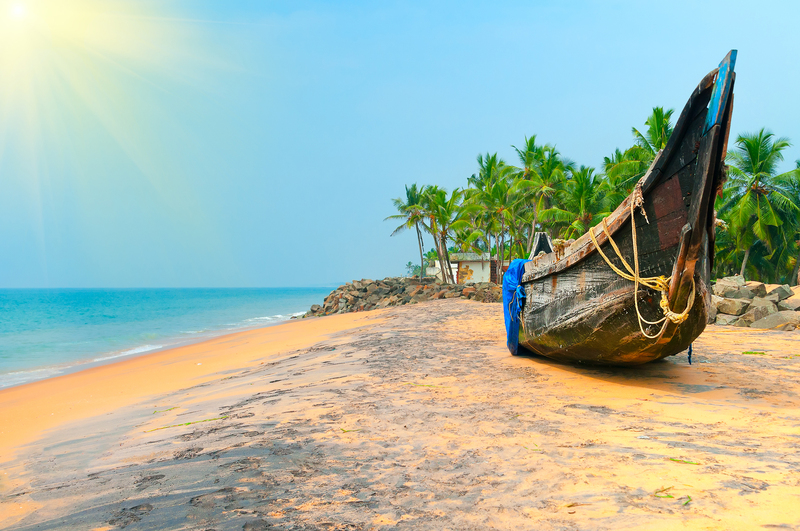 A final day at leisure in Kerala and what better way to spend it than enjoying its beautiful coast. Your driver will take you back to Cochin in plenty of time for your departure flight home today. This itinerary costs from £1,400 per person B&B and is based on two people sharing during the high season (Oct-Mar) excluding the Christmas and New Year period. The price includes all private transfers and domestic travel but not international flights.